What we remember the most are not “things” but memories made and experiences shared! In lieu of tangible items my dear friend Kim has been gifting me iconic New York experiences for special occasions, and the quality time spent together is wonderful. Last year we did Tea at the Plaza (something I have wanted to do for the 30 plus years I have been living in NYC) and just a few weeks ago we had “Breakfast at Tiffany’s”. 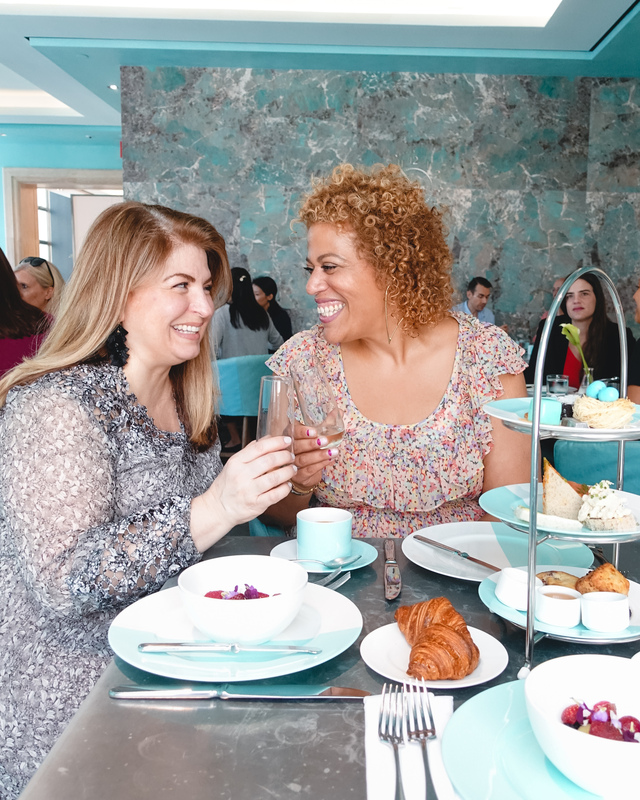 If you’re looking for a super chic and oh so girly time, put on your best dress and make a reservation for you and your girls at The Blue Box Café at Tiffany & Co. Here you will enjoy incredible food, impeccable service and fabulous Tiffany decor. 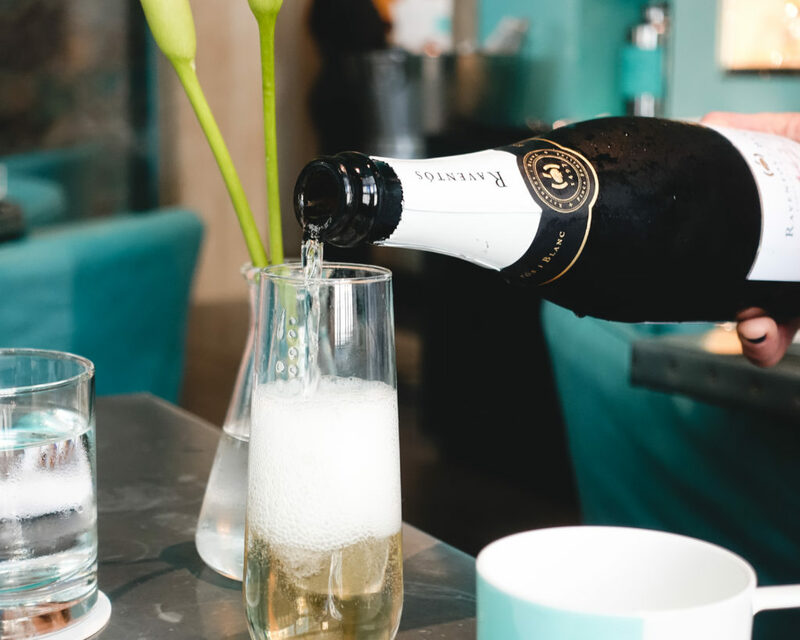 You can choose from breakfast, lunch or high tea any time of the day and sip champagne at 10am without judgement. Our waitress was wonderful, continuously reminding us that she was there to help create our experience and that she did. 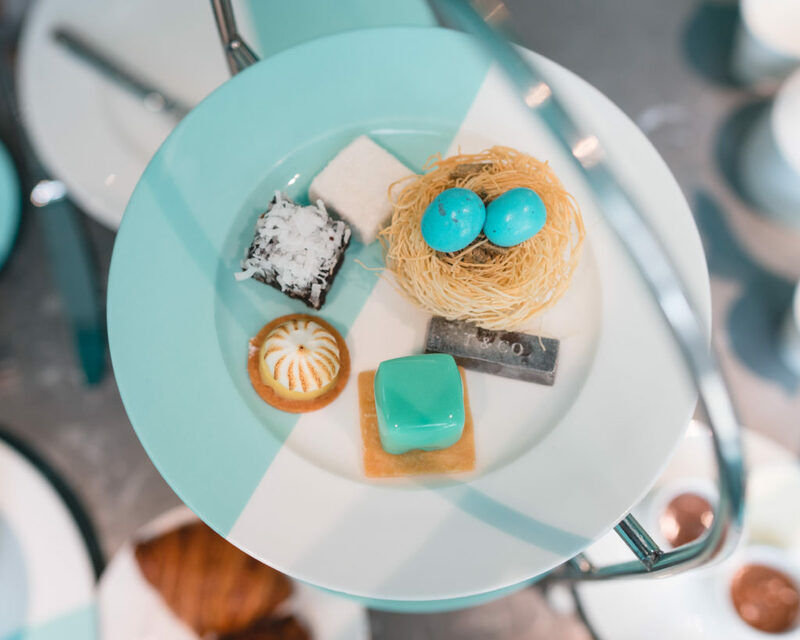 As we as we nibbled finger sandwiches served on beautiful Tiffany china and awed at the creation of the robin’s nest dessert, she made sure our champagne flutes were always full. Photos were happily allowed, and she always seemed to check on us at just the right time. Reservations are only available through Resy, and since there is a small amount of seating securing one can be difficult…but worth the effort. Oh, and don’t be shy….be sure to stop on one of the other floors and try on some sparkly expensive jewels for fun while you’re there!